Teachers who participate in Add+VantageMR® professional development see increased mathematics percentile ranks of students throughout the school year. Teachers who participate in Add+VantageMR® professional development show significant improvement in instructional decision making based on student actions and explanations. 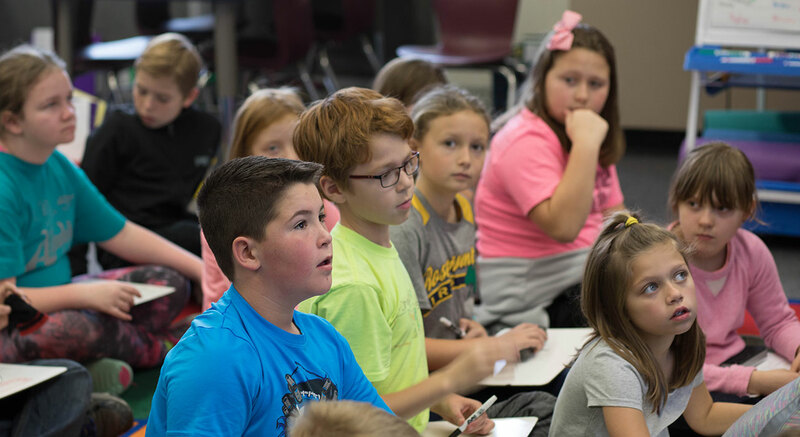 After watching two short videos of students participating in math activities, teachers responded to, "What would you say and do to help the student develop understanding of the mathematics in this situation? "4 Results found that teachers made improvements in their ability to provide helpful suggestions to students. Do you have something to contribute? Are you excited to teach, learn from and collaborate with colleagues? We are excited to announce the publication of a new white paper: Math Recovery® Efficacy and Effectiveness Research. Large District AVMR Champion Award Deadline Extended! We deliver professional development that empowers educators to transform numeracy education and advance student mathematical thinking and success. For our members - your account will help you stay connected with the Math Recovery® community and access important course specific materials. Visit our online product store to order all of your favorite US Math Recovery Council® Educational Products and Course Materials.